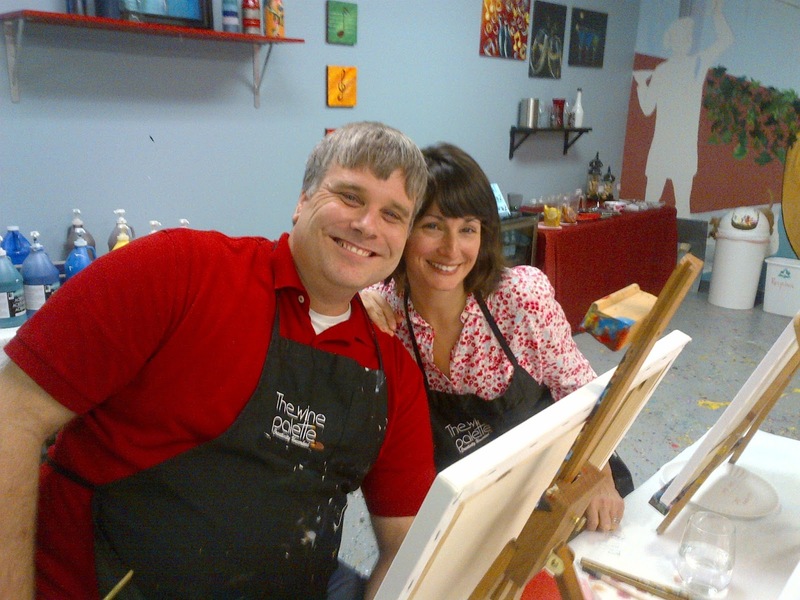 On Valentine's Evening, Ryan and I went with another couple to The Wine Palette to eat chocolates, drink wine and paint "four letter words." 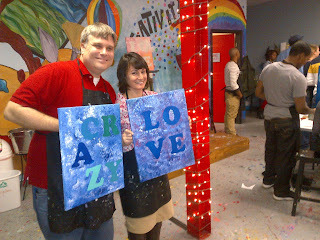 With 10 other couples and the guidance of the artist in residence, Raffaele, we determined our colors and words. It was amazing to see how creative some people were with their designs. 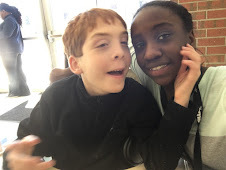 It was a supportive environment and everyone was there to have fun, laugh and relax. If you do not have a business like this in your area, Michael's has all the supplies you need for a creative date.